Yogyakarta is one of the special regions in the country besides Nanggroe Aceh Darussalam. It is the second smallest province in Indonesia after Jakarta in terms of area, with just 3,185 square kilometers. The region is led by Sri Sultan Hamengkubuwono X, 66, the Sultan and governor of Yogyakarta, which is the name of both the province and its famous city. For many, Jogja, the nickname of its capital city, represents the heart of Javanese culture, championed and safeguarded by the Sultan. The city is known for the Sultan’s Javanese palace, the Kraton, and wonderful Javanese cuisine. Some associate Jogja with a sleepy pace, but the Sultan vows to transform the province into something more modern and tech-savvy. In 1998, he announced his vision for the region to develop its tech industry as a way to raise living standards and incomes in the province. 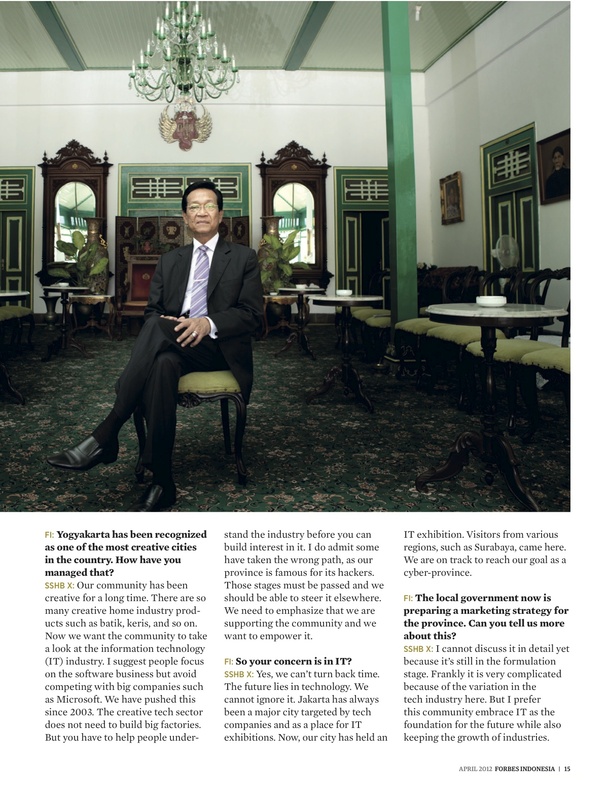 He met Forbes Indonesia in the private residential area of the Kraton, tastefully decorated with family portraits, mementos and antique furniture. 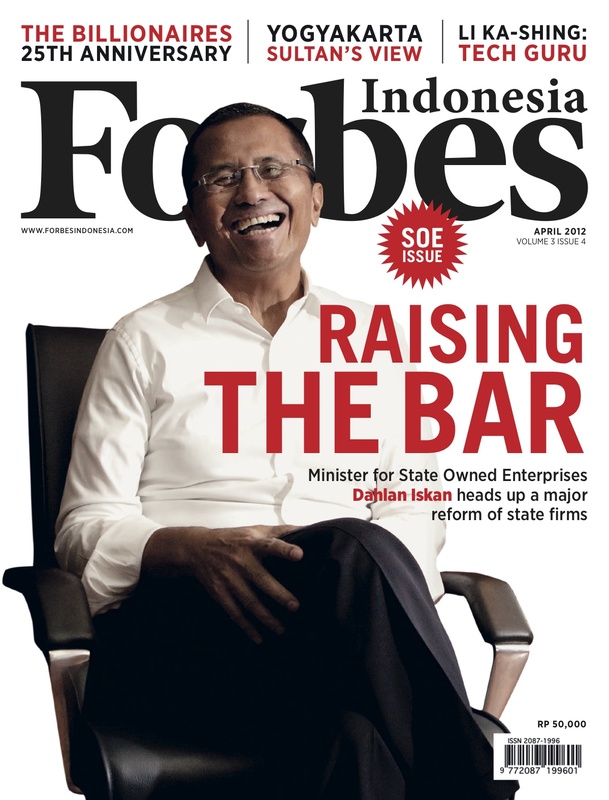 FORBES INDONESIA: Jogja was once known as the city of students—it is home to more than 100 institutes of higher education. What do you think about the name now? SRI SULTAN HAMENGKUBUWONO X: In my opinion the name is no longer suitable because it doesn’t reflect the reality, which I already said years ago even before the central government implemented regional autonomy [in 2000]. With autonomy, each province dominated now strives to establish educational institutions. So if Yogyakarta wants to keep the name, we have to focus on content and not merely the existence of these educational institutions. We still have an advantage over other provincial efforts that have emerged since regional autonomy. So we have declared Yogyakarta to be a cyber-province. I would like tech will become our competitive strength in the future, therefore I insist elementary schools teach science and technology even though may not be useful to them for 20 years. We are pleased Microsoft is helping us to train and introduce IT to elementary and junior high school teachers. [Indonesia has nine years of compulsory education]. This approach enables Yogyakarta to become a national center of educational excellence. In fact, there were 290,000 students in the province in 2011, more than 85% of them coming from outside the province. Microsoft is donating 50 computers to train teachers, while the local government is providing a matching number of computers. At the time the earthquake strikes the province in 2006, we asked donors who were rebuilding the schools to build an additional classroom for computer training. These steps help us achieve our goal to become a cyber-province. FI: Yogyakarta has been recognized as one of the most creative cities in the country. How have you managed that? SSHB X: Our community has been creative for a long time. There are so many creative home industry products such as batik, keris, and so on. Now we want the community to take a look at the information technology (IT) industry. I suggest people focus on the software business but avoid competing with big companies such as Microsoft. We have pushed this since 2003. The creative tech sector does not need to build big factories. But you have to help people understand the industry before you can build interest in it. I do admit some have taken the wrong path, as our province is famous for its hackers. Those stages must be passed and we should be able to steer it elsewhere. We need to emphasize that we are supporting the community and we want to empower it. FI: So your concern is in IT? SSHB X: Yes, we can’t turn back time. The future lies in technology. We cannot ignore it. Jakarta has always been a major city targeted by tech companies and as a place for IT exhibitions. Now, our city has held an IT exhibition. Visitors from various regions, such as Surabaya, came here. We are on track to reach our goal as a cyber-province. FI: The local government now is preparing a marketing strategy for the province. Can you tell us more about this? SSHB X: I cannot discuss it in detail yet because it’s still in the formulation stage. Frankly it is very complicated because of the variation in the tech industry here. But I prefer this community embrace IT as the foundation for the future while also keep growing traditional home industries. The new skill then can be used to preserve existing craft industries—for example batik can be designed using digital tools. FI: Eat Pray Love was shot in Bali. Yogyakarta is also good location for filming but not as famous as Bali. Do you have any strategy to promote Jogja as a location for films? SSHB X: Musician yes, but for movies, not yet. [Indonesian singer] Glen Fredly will start his national tour from Jogja in April. There are many production houses here that can shoot films. There is also much potential human resource here, such as the film educational institution Multi Media Training Center (MMTC), the Multi Media Technology Communication Academy and the Indonesian Institute of Art. These can be the embryo for cinematography. FI: So how you are going to promote Yogyakarta to international community? SSHB X: I don’t think that’s feasible yet—as long as there is no international airport here. I would be useless to do any promotion now if there is no direct international flight to the province. Visitors to Bali are unlikely to make the effort to go to Yogyakarta. However, we are in discussion to move our airport, Adisutjipto, to a new location in Kulon Progo. The distance between the old and new location is approximately 30 km. If the design is finished this year and the construction by 2013, then it can open it by 2015. FI: Provincial revenue mostly comes from trading and services, each with 19% of the total, while agriculture is 15%. Are satisfied with this mix of revenue sources? SSHB X: For me, revenue from trading still can be increased, but agriculture has been predicted to decrease as we lose our agricultural land. We could lose up to 200 hectares of agricultural land per annum [to urban development and other uses]. That is why trading, services and other sectors beside agriculture should become the main drivers of the provincial economy. FI: What about population growth? SSHB X: It is forecast that Yogyakarta’s population will be double by 2025, from 3.5 million in 2010. Jogja been known as a congenial place to live. It is a nice and relatively quiet place to live, with a low cost-of-living. Many who are in their peak years of productivity are leaving, while retirees are moving to this province—our population is now 17% elderly. These people need special treatment and attention because of their condition. We provide facilities for them to visit doctors to check their health. We create activities for them to stay active. Well, I hope as retirees they can still bring benefit at least to themselves. FI: What is the local government doing to cope with the rising population? SSHB X: We have to provide sufficient land, clean water and infrastructure for the province. And it is not an easy task to do this. We used to be rely on clean water from Mount Merapi but it erupted in 2010 we have seen a dramatic decline from that source. We need to find new sources of clean water. We are looking at some options, such as taking water from nearby rivers or even from Magelang. We don’t have enough water here [to meet rising demand]. For land supply, we have encouraged development outside the city by planning a 15 km outer ring road. The central government budget allocation for infrastructure in our province is very small. The local budget allocate is less than Rp 1 trillion. We are hoping the central government will increase its funding program to us. 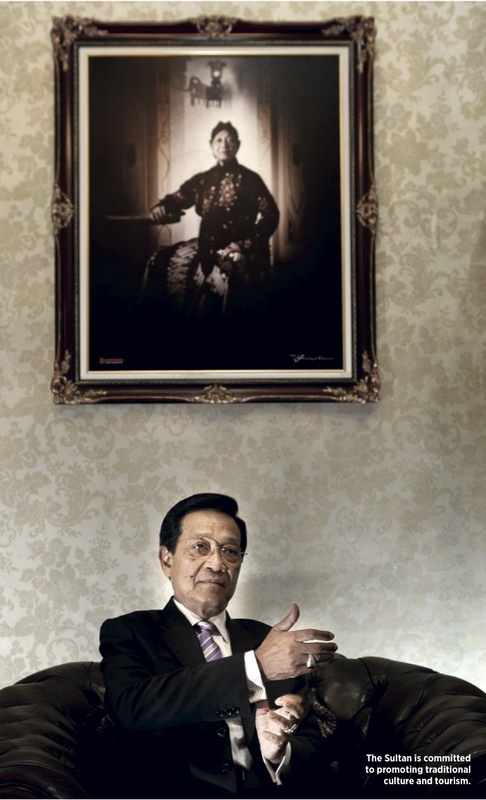 FI: What should be the Sultan’s role to support traditional arts such as batik and gamelan? 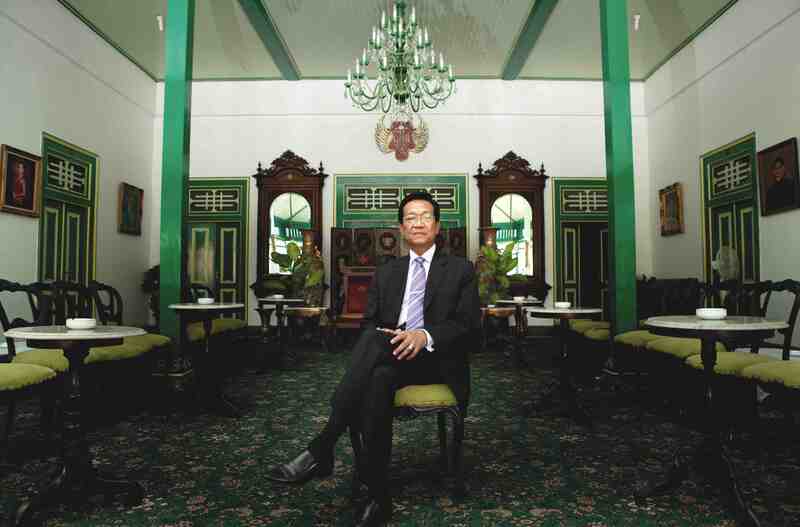 SSHB X: Yes, as the Sultan, I am committed to promoting traditional culture and tourism can help preserve that culture. Our rich culture is one reason many heads of the state enjoy coming here. Tourism brings about 150,000 to the province, although that figure is much lower than the 750,000 that came right before the earthquake in 2006. Some 80% of our tourists are local. For batik, we don’t have any problem in marketing it since it has already been awarded as a world heritage craft by Unesco. You can find it easily, from the cheap to the expensive, but I’m unhappy with the stagnation in design. There are no new designs, and what is being produced is only a combination of the existing designs. We should try to make more competitive designs. We also don’t have any problem with keris. There are craftsmen who produce it as a gift to tourists or even export it. While for gamelan, we promote it by giving it to Javanese communities all over the country. Recently, we went to Palu to meet with the Javanese transmigrants community there. We gave them a set of gamelan and [Javanese shadow puppets] wayang so they could preserve the art in their place. In this Kraton we also hold daily performances. Monday to Thursday, every subdistrict [kecamatan] in the province has the right to present art performances. On Friday we hold traditional song and folk performances such as Babad Mataram and Babad Demak. In Saturday we present wayang. So the responsibility to preserve the Javanese culture is in the hands of every citizen, especially the Javanese community all over the country, not only for those who living in Java. FI: You are once ran as a candidate for president in 2008, what about for 2014 election? SSHB X: The day still young, not yet a dawn. FI: What about the settlement of the issue of Yogyakarta as a special region? SSHB X: It’s not done yet. That issue is still being discussed by the parliament. FI: Indonesia used to have many sultans, but now the number is smaller. How many sultans still exist in Indonesia aside from yourself? SSHB X: I’m not sure. In 2004, there was a Kraton Festival held in Jogja. At that time 43 sultans were listed as present in the country. At the next festival in Makassar the list has risen to 89 and then in Palembang last year, it soared to 147. I really don’t know why this has happened. There is a difference the criteria in Java and outside Java to qualify as a sultan, maybe that’s the reason. FI: Do you have creative hobby yourself that you like to enjoy? SSHB X: Yes, but I don’t have much time to do it, but I do like photography. I like taking photos, especially of ordinary people in the midst of daily life. I’ve been doing this since childhood, and will even process the photographs by myself. My father was also very fond of photography. 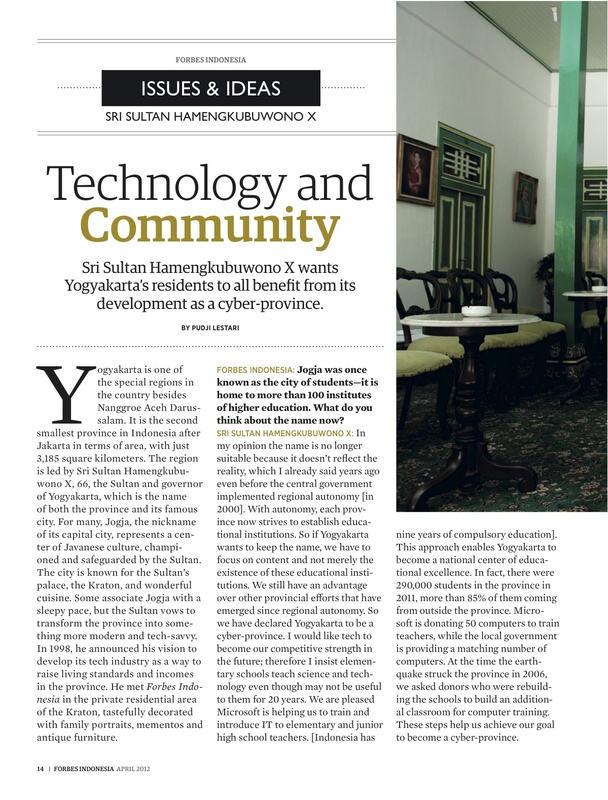 This entry was posted in Ideas, People, Publications and tagged cyber province, Jogja, Microsoft, president candidate, Sri Sultan Hamengkubuwono X, the city of students, Yogyakarta by Pudji Lestari. Bookmark the permalink.